Our transmission repair professionals in Ogden are ready to get you back out on the road! Conveniently located on Washington Boulevard, our transmission shop is ready to help with any transmission problems you may be experiencing. Tanner Transmissions has a long history with the Ogden community. 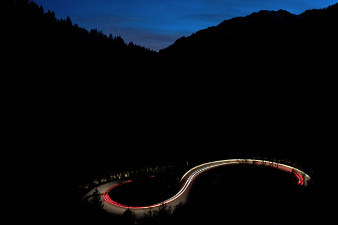 Since 1978, we have been providing Ogden residents with quality transmission repair and service. We pride ourselves on being Ogden's transmission repair leader. All of our shop's technicians are trained, professional, and geared toward providing quality transmission service for all Ogden residents. Concerned you may be experiencing a transmission problem? The best action you can take for your vehicle is to get an accurate diagnosis as soon as you notice a symptom. Continuing to drive your vehicle after experiencing a transmission problem may lead to further damage. 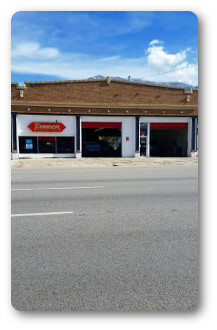 Tanner Transmissions in Ogden, Utah offers free towing, a free Transguard Check, and an industry-leading 5-year / 100,000 mile automatic transmission repair warranty. Our transmission professionals are ready to assist you. Telephone Tanner today! "Awesome service! My car was done a day before I thought it would be. Only down two days! You guys are good. Thanks!" "The care that was given me was fantastic. Everyone was very courteous and friendly. I will recommend Tanner Transmissions to all my friends. Thank you for the good care of my car." "Five star operation, very professional, very fast, and the best price in town!" "Upfront and honest about all work that needed to be done. Finished in a timely manner, and even charged less than what was originally priced." "Tanner Transmissions was so helpful. They treated me with respect. I really felt like they cared about my truck. They kept me informed as to what the progress was. They explained what was wrong in a way I could understand." 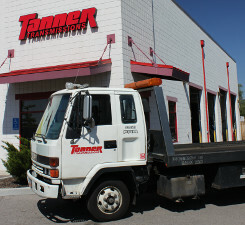 Why Choose Tanner Transmissions in Ogden? We are a transmission specialist, not a generalist. We have focused on transmissions solely for 38+ years. There are hundreds of different types of transmissions in today's vehicles. Transmission repair requires a very experienced, transmission knowledgeable team, with the proper equipment and a dedication to transmission repair services. 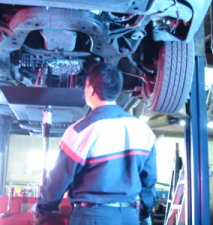 General auto repair shops do not possess the in-depth knowledge required for proper transmission repair. Our transmissions are put through a rigorous 20 minute test on a dynadrome. This test simulates different speeds and loads on your transmission. The transmission's performance is statistically evaluated before being installed in your vehicle. We have repaired and rebuilt transmissions from classical collector cars, to custom built cars, to the most modern vehicles on the road today.